Another very successful day, plenty of smiling faces, an almost full shooting line and yet another step up in standard! Highlight of the day was undoubtedly the 591 recorded by Holly Clifford to smash the National Record! Other highlights included the 581 recorded by 14 year old Chloe A’Bear in the Ladies Compound. 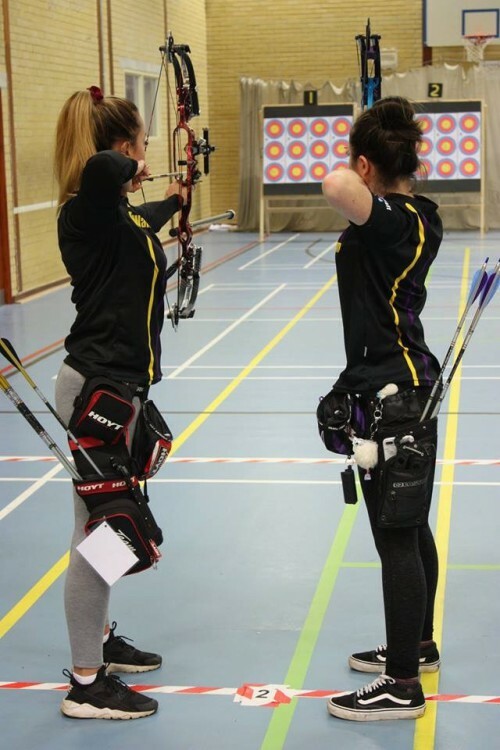 Also Riley Spencer-Nice’s win by a single point over Austin Whitmarsh in the recurve section with 582, incredible shooting by both archers. Deer Park Archers from morning session. 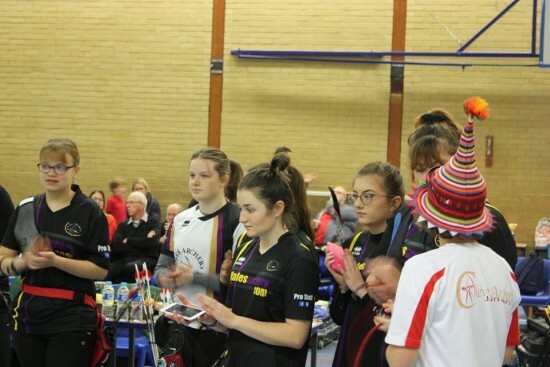 Molly Peters recorded a pb and excellent score of 574 to win the Ladies under 18 recurve title. 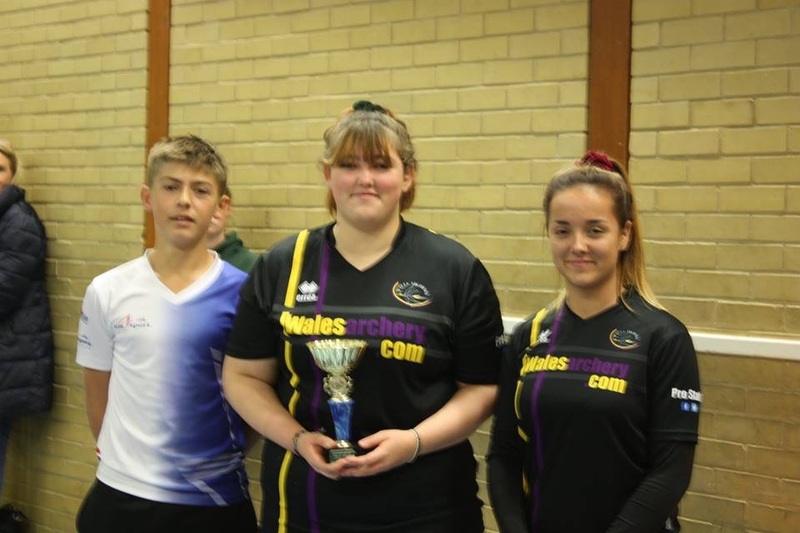 Winning County Team – Riley, Molly & Holly. Alex Parker won the boys under 14 Compound title with 554. Full results can be seen on our tournament page, many more good performances meaning we took 15 of the 19 titles on offer including the team trophy! 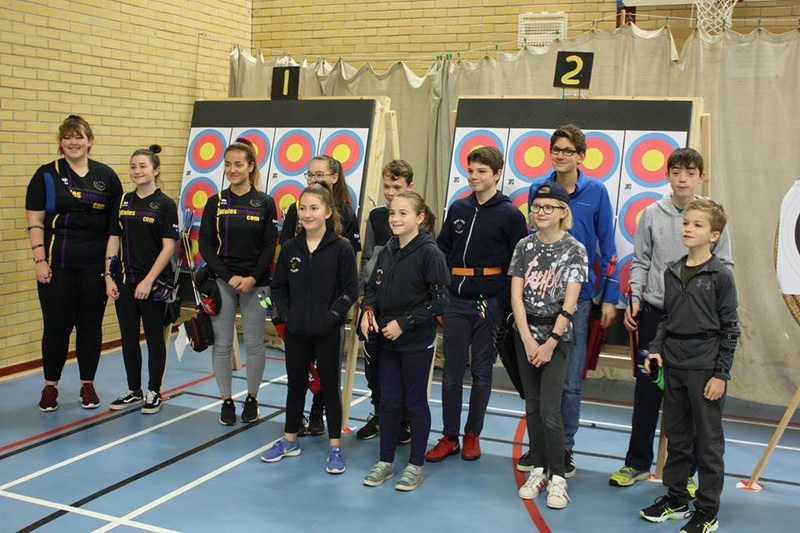 We were pleased to host a visit from David Tillotson – Archery GB Director of Sport and Arran Coggan – Club and Facilities Manager last week ! Their support and interest in our project is much appreciated. Thank you to all our volunteers who helped on Saturday to clear a path, build temporary steps and move our kitchen furniture from the old container to the clubhouse. Great work everyone! More formal announcement shortly but we are pleased that thanks to a very generous donation of furniture from the RBL and a number of other benefactors needed to get us operational, that we are well on the way! ← Another great Club Annual Awards evening!